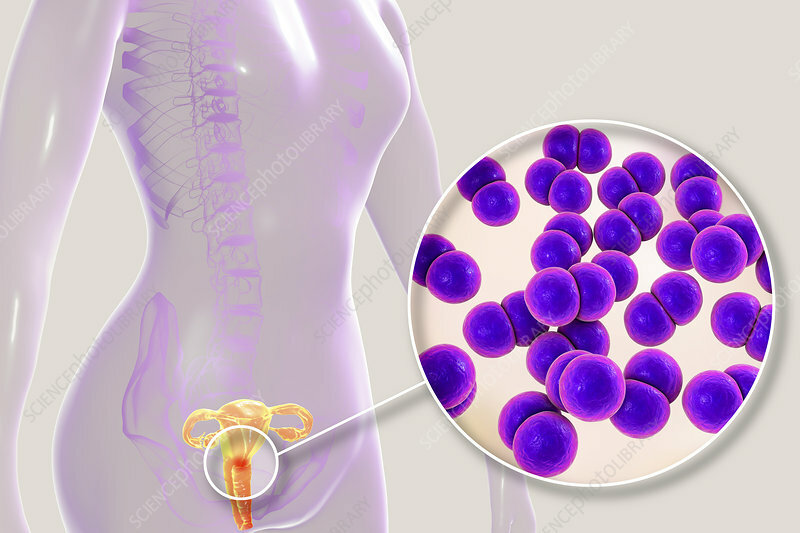 Gonorrhoea infection in female, computer illustration. Gonorrhoea is a sexually transmitted infection caused by Gram-negative bacteria Neisseria gonorrhoeae. In females, N. gonorrhoeae causes vaginitis and more rarely urethritis. Symptoms include vaginal or urethral discharge and a burning sensation on urination.